Who said that the boombox is a thing of the past? Well, think again. The boombox is making its reappearance and it is back with a vengeance. One would think that because the boombox first made its name known around the 1970s and 1980s, it would have been already non-existent or nearing extinction by now what with the advancement in technology and gadgets. We would often see in old videos a boombox being carried on the shoulder while a hip hop dancer shows off his moves. Another usual scenario is a boombox in the background while a break dancer hops with his hands and turns himself upside down. 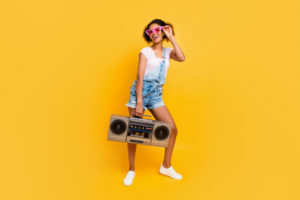 Through the years, the boombox has held itself quite well and proved that it is still needed and functional even in the twenty-first century or the millennial age. As a matter of fact, most still find the boombox as the preferred audio player when it comes to outdoor activities. Why? Such a question will be answered as we go along. A boombox, as it is popularly called, is a portable transistorized cassette tape player or recorder and AM/ FM radio with amplifier and loudspeakers. Otherwise stated it is an audio appliance known for its multiple functions and loud sounds. It is usually designed with a carry handle to enforce its portability feature. It is called a “boom” box because it has the capacity – with the help of its loudspeakers – to produce unusual loud sounds. 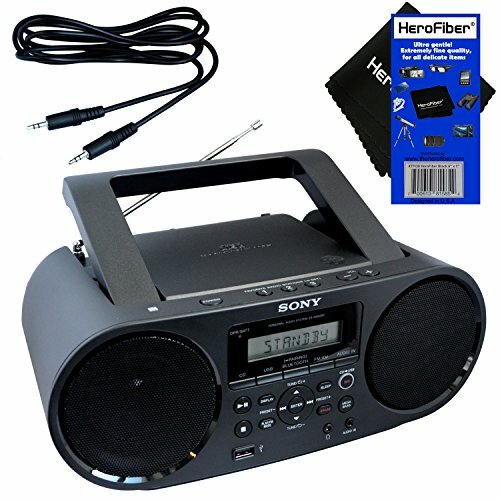 Moreover, it has various functions starting from playing cassette tapes and CDs to playing FM and AM radio stations, and down to recording audio. 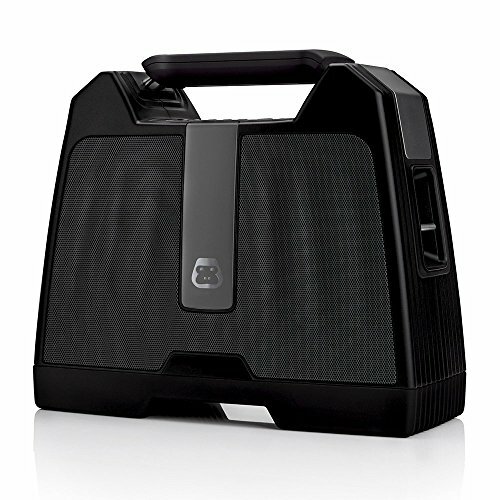 It has been said before that the boombox is a preferred sound system by outdoor goers. This is basically due to two simple reasons. 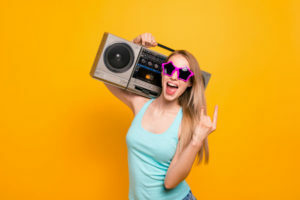 First, a boombox can create loud sounds; thus, even if you have a wide and open area to cover, the music or the recording can still be heard without any problem. The second reason would be because the boombox is usually a portable device. There are many features of the boombox that make it portable. 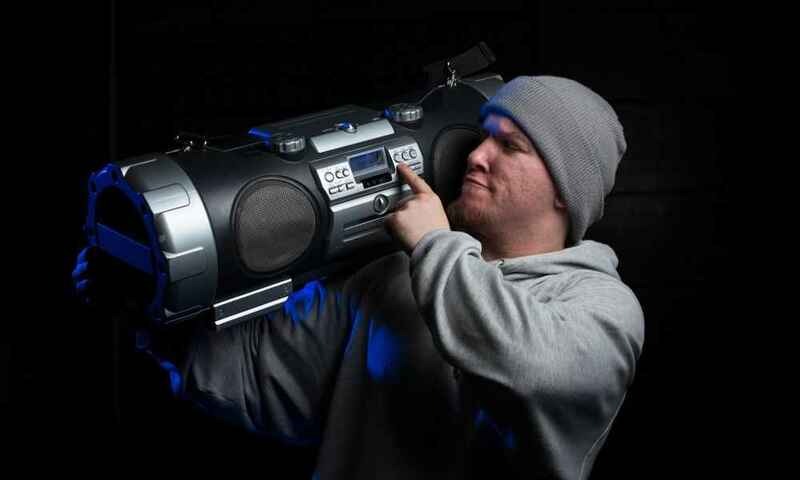 Mainly, a boombox can be easily hand carried; it is usually lightweight and it can be operated by battery. A boombox has a carry handle that makes it easier to carry along anywhere. 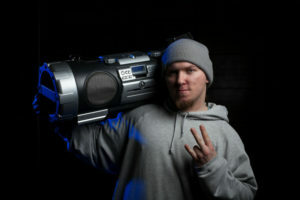 A boombox is also lightweight to enforce its portable feature. 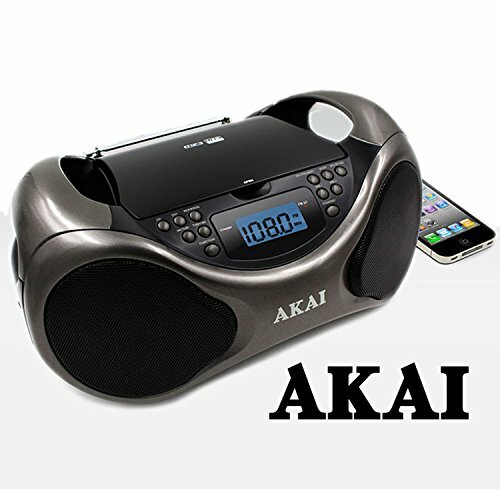 And finally, a boombox usually has a dual power source – an AC adapter to be connected to an electric outlet for indoor consumption whereas batteries are used for outdoor functions where electric outlets are not readily available. 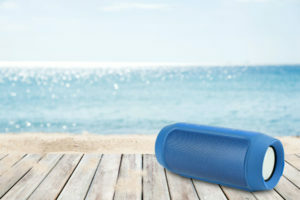 Whether you are a music lover who wants to enjoy good background music outdoors or a dancer practicing his performance outside, having a boombox with you is quite helpful. If you are interested in buying one, the first thing you do is to canvass. However, there are a lot of boomboxes available in the market now and you might be overwhelmed. Naturally, you would want to go for the best boombox there is. But how do you find it when there many brands to begin with? In any sound system or device, the first thing to be judged is the sound or audio output. It is without a doubt that the audio output of a boombox cannot be compared with the output of a theater or cinema speakers for the former is more focused on the volume while the latter on the quality of the sound. Nevertheless, the best boombox is one that produces a loud and rich audio output but, at the same time, does not compromise its quality by making distorted sounds. High-quality sound usually comes from boomboxes that utilize bass-boosting technology and a higher number of watts. A boombox is usually preferred as an outdoor sound system because of its portability. There are three major factors that contribute to making a certain boombox portable. The first factor would be the weight. The lighter the boombox, the better it is for a heavy appliance would make carrying it difficult and burdensome. The second factor would be the battery operated function of the boombox. When you are mobile, electric outlets are not always available wherever you go. Hence, bringing a device with you that can operate without electric power is necessary. A battery operated boombox just about covers this need. And finally, the third factor is the carry handle that is usually part of the design of a boombox. 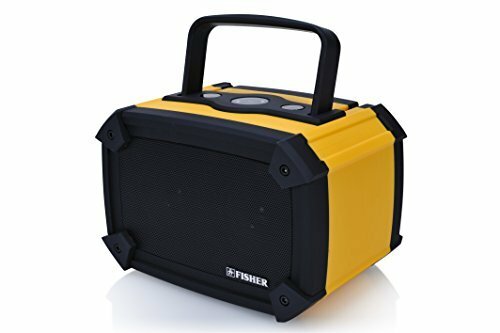 Because a boombox is often used for outdoor activities, it is more prone to damage than when it is safely kept inside your house. Outdoors, it is exposed to weather elements and subjected to more roughing up brought about by being mobile and by placing it on any surface. To give your boombox a longer service life, find one that is made durable and heavy duty and one that is made of quality and premium materials and parts. In line with being outdoors, the best boombox is one that can last for long hours without its batteries being recharged or replaced. When you are outdoors, an electric outlet is not always readily available to you so one would have to rely heavily on battery operation alone. So the best boombox should at least have the capacity to hold its own for hours of uninterrupted use. There are boombox brands that can run only for an hour. Whereas, there are also those, usually heavy duty ones, that can last straight for a day or more. As a rule of thumb, the more additional features a boombox has, the better it is. 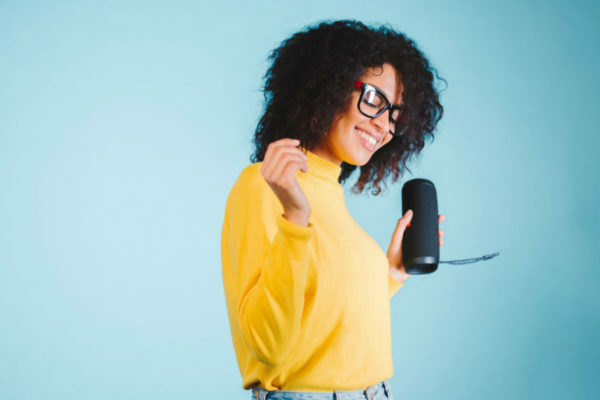 Because of the advancement in our technology, there are a number of boombox brands that have incorporated innovative features on top of the basic ones. One of those features is the Bluetooth capacity that enables a boombox to make a wireless connection with other Bluetooth enabled devices. Another feature is satellite ready tuners. And there are even some that have sleep timers that automatically turn off after the lapse of a designated time interval. The best boombox should not only stick to the basic features; it should also go with the time and be updated with new technologies that make it better. Those above-mentioned features are not the only things that make the best boombox. The best boombox is one that is affordable while having all the necessary and additional features one would seek in a boombox. Affordability is a case to case basis, however. A certain price range may be cheap for one but very expensive for another. So before you go any further with your search, fix a budget for your boombox – one that you are comfortable and able to spend on your purchase. And as you go through your search, always check with the price range and pick a brand that falls within your budget. After all, what good is a boombox with many features if you overspend and exceeded your budget? A smart purchase would always be one that you can afford without having to cut low on the budget for your other expenses. It is a good reminder to spend only within your means. To steer you towards the proper direction, below are several great boomboxes that are well enough to be considered as contestants vying for the title of the best boombox available in the market. 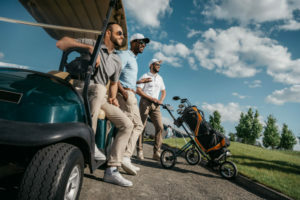 Also listed with the brands are quick rundowns of their significant features, benefits and disadvantages so that you can fully appreciate each and every model. 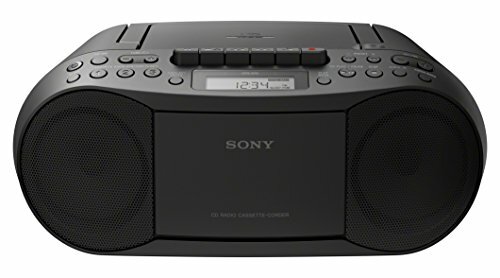 The Sony CFDS70BLK CD/Cassette Boombox provides rich sound and is completely portable. This model comes in basic black and has many unique features that make it highly desirable. 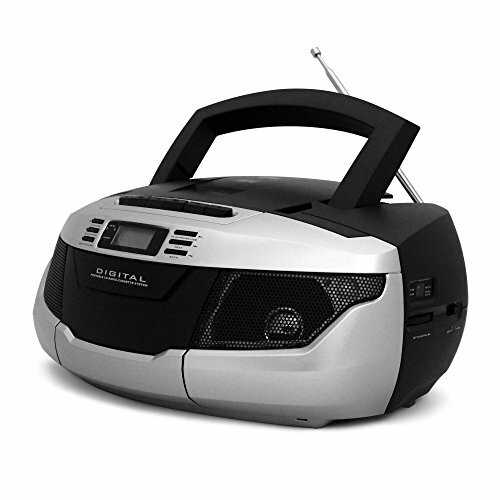 Durable yet lightweight, this boombox comes standard with both a CD player and a cassette player. Great for on the go or for home use, this unit is perfect for just about any event. Spice up your antiquated boombox with some modern day gadget features. When you are looking for such a mix, you can always rely on the Jensen FM Stereo CD Bluetooth Boombox. The boombox can connect wirelessly with its Bluetooth capacity. It also has an FM stereo and CD player function. This portable and lightweight silver boombox only weighs 2.5 lbs. and is small enough to fit in your bag with its 6 in x 9.8 in x 7 in dimensions. Lightweight at only 2.5 lbs. 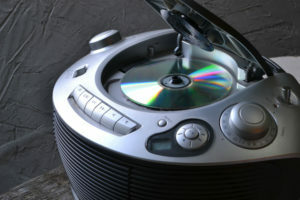 If you have problems with a not loud enough CD player and the burden of carrying of a CD player and radio, fret not for your problems can be easily solved by a boombox. And when it comes to boomboxes, the Sony Portable Full Range Stereo Boombox is in the front of the race. 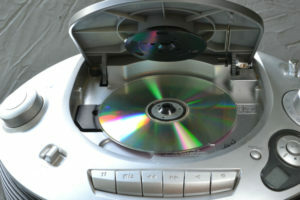 Its CD player function can play CD, MP3, WMA and CDDA formats while the digital AM/FM stereo tuner function offers 30 preset stations. Some of it other features are the sleep timer and auto radio scanner. 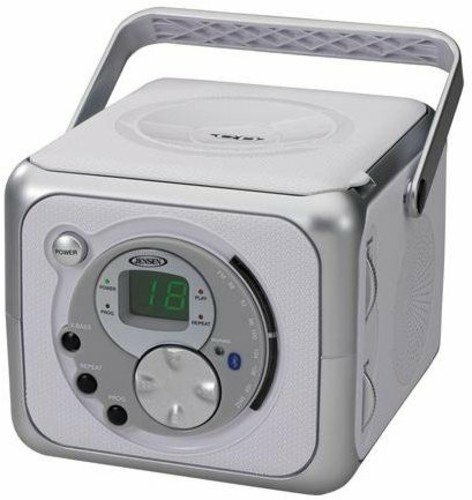 This 4.2 lbs full range speaker has an audio input jack, USB input play, headphone output, carry handle and accessible control buttons. 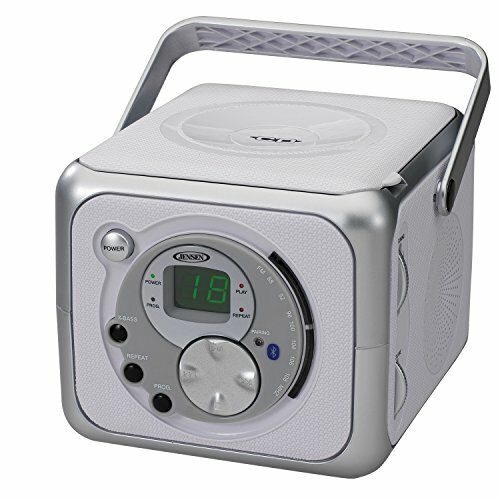 The boombox has a long battery life, sleek and modern design and 12 in x 8.2 in x 5 in dimensions. Why buy an individual tape recorder, CD player, MP3 player and FM/AM radio when you can easily have them all in just one appliance? Introducing, the boombox. 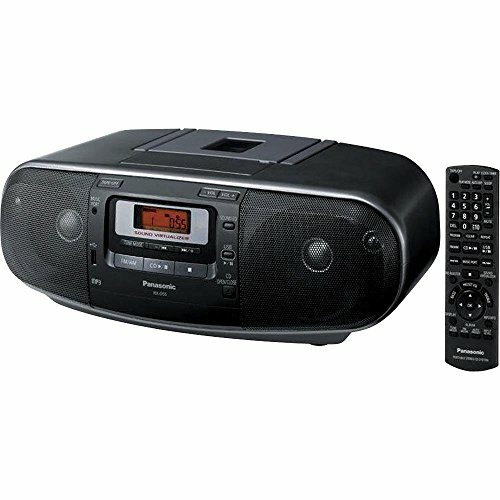 Be practical by having a boombox like the Panasonic RX-D55GC-K Boombox. 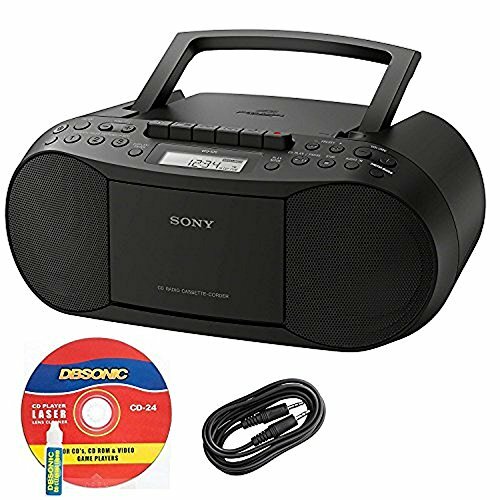 The device creates high-quality sound with it 2–way four speakers that reach 280 Among its other functions are CD, CDR/ RW & MP3 players, CD cassette recorder and AM/ FM radio. Heavy at more than 10 lbs. Searching for an audio device that can create loud and clear sound, especially when you are outdoors, and has quite a number of functions? Then you better start looking for a boombox. 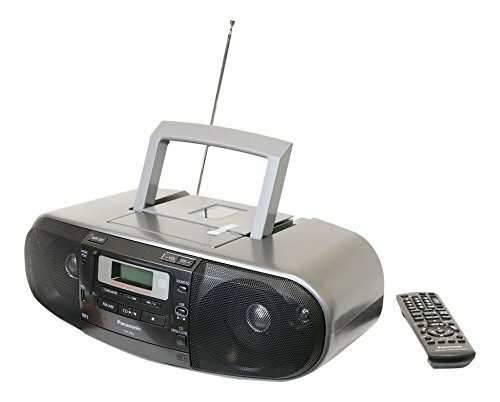 Have a go with the Tyler MP3 CD Boombox Player which has a 2 x 3 W RMS stereo speakers on top of having CD/ CD-R/ CDR-W top load player, AM/ FM dual band stereo receiver and telescoping antenna. 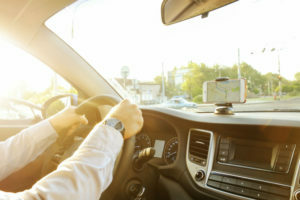 It also has features like programmable memory, repeat and shuffle functions, SD card, AUX and USB compatibility, and MP3, iPod and audio devices connection. The boombox runs either on C batteries or 120V AC power. Also, the appliance is made portable and lightweight at 2.8 lbs and 16.2 in x 9.5 in x 13.2 in dimensions.